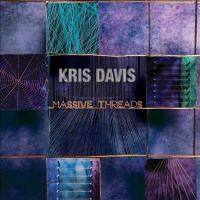 It's just a coincidence that pianist Kris Davis has had three stunning trio recordings released in 2010. 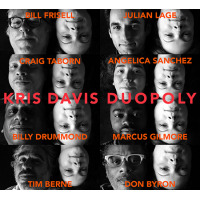 There are the two on Clean Feed RecordsParadoxial Frog, a brilliant joint collaboration with drummer Tyshawn Sorey and saxophonist Ingrid Laubrock; and Three by the SKM trio, with Davis joined by saxophonist Stephen Gauci and bassist Michael Bisio. 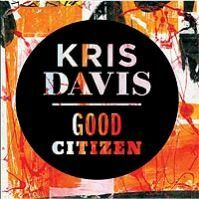 But it's no coincidence that Davis' percussive style and edgy invention is also present in Good Citizens, another clear visage of her abilities as a leader and collaborator. Good Citizen is anything but the law-abiding personage of the typical jazz trio release. No cloying ballads or rehashed standards to be found. As in Davis' previous projects as a leader on Fresh Sound RecordsRye Eclipse (2008) and The Slightest Shift (2006)she continues the arduous pursuit of thought-provoking composition and improvisation. Here, she finds two like-minded cohorts in drummer Tom Rainey and bassist John Hébert, both well-known purveyors of boundary-pushing music. This recording is one of the most out-front displays of Davis' playing. Her piano dances from skittering flights to frenzied syncopations within the title track's blistering tempo. "Where Does The Tunnel Go" is an unforgettable jaunt with a punctuating pop hook propelled by snappy beats and a thundering foundation. "Desert Prayer" is yet another striking statement of the pianist's writing and playing: the cerebral solo piano intro; the deep pocketed mid-tempo groove; and the piano's minimalism, all powerful components that work together in harmony. Hebert and Rainey are in typical form. They provide texture and tone to the pensive "Skinner Box" and sensational swing-time in "B Side." 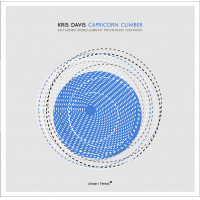 With examples such as the varying contrasts between "KTJ 1"'s dark tint and "KTJ 2"'s soaring free flight, or Rainey's drums brilliantly mimicking Davis' keys in "Human Condition" with colorful taps and shuffles, the music continually delivers the unexpected. Good Citizen is yet another top notch release from a pianist/composer cut from the same cloth as Myra Melford and Geri Allen. Track Listing: Good Citizen; Where Does That Tunnel Go; Desert Prayers; Sinking Orchid; Recession Special; Skinner box; B Side; KTJ 1; Human Condition; KTJ 2; The Iron Spider. 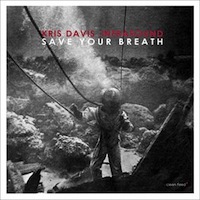 Personnel: Kris Davis: piano; Tim Rainey: drums; John Hebert: bass.